I was hanging out with my little cousin and she wanted to take Purikura which is a high tech photo taking machine with green screen that lets you deco the photos and it prints out the photos on an sticker paper, the purikura machine let you select the enlargement of your eyes to give off doll effect and gives off flawless skin lol was surprise at how expensive they are cost $10! 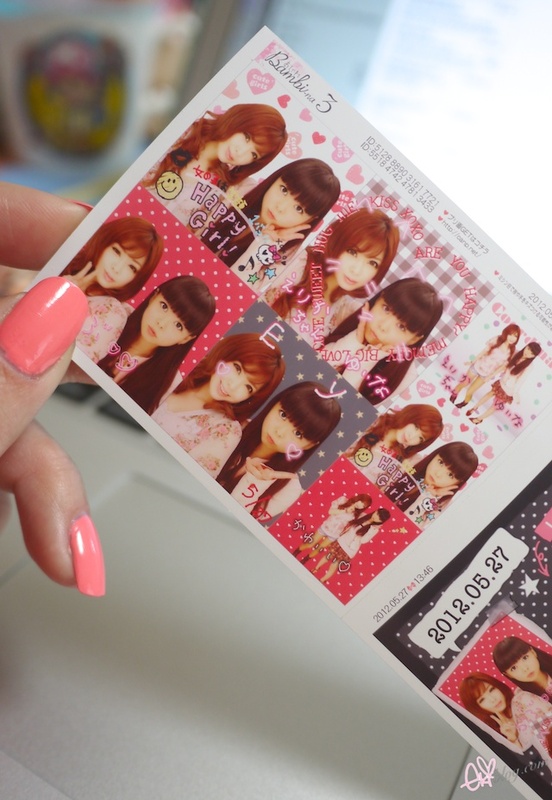 lol you can also have your purikura photos to be sent to your cell phone and check the image through your cell from their website. After we went to Daiso, which is a large chain 100 yen shop which is equivalent of a dollar store. 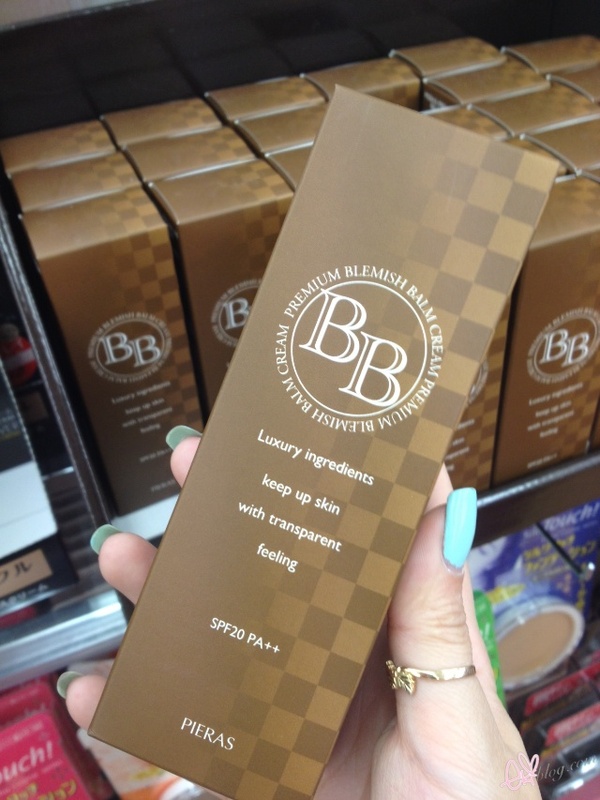 this BB cream was from korea! 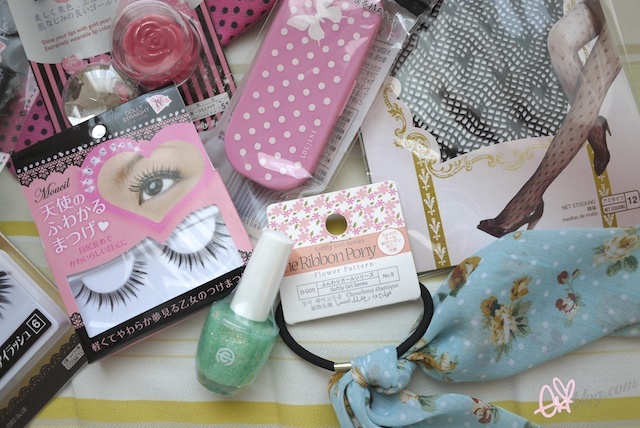 I will be giving away all the items pictured to 1 lucky reader! Please enter by leaving a comment in this post! The sashimi looks delicious. I love raw salmon, it's my favourite. 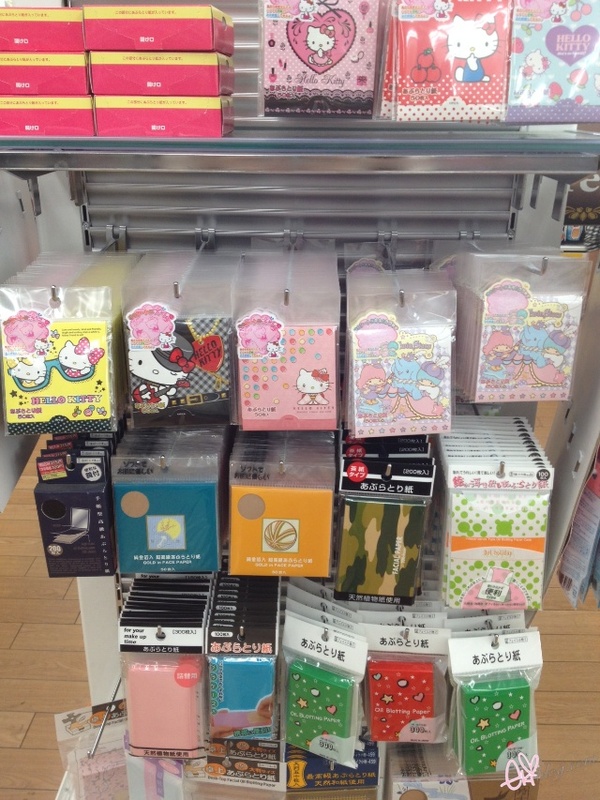 ;^; Your 100 yen stores are too cute, look at all the beautiful stockings. ^^ Thankyou for your stealthy photos haha! I've never been to Japan before so I'd love to see some pics of the day to day lives of people in Japan! Coming out of lurking not to enter the competition but to say $10 for purikura?? They should cost 400yen, so if you paid more you were ripped off! I would like to see fashion street from Japan! I really like your posts so far. 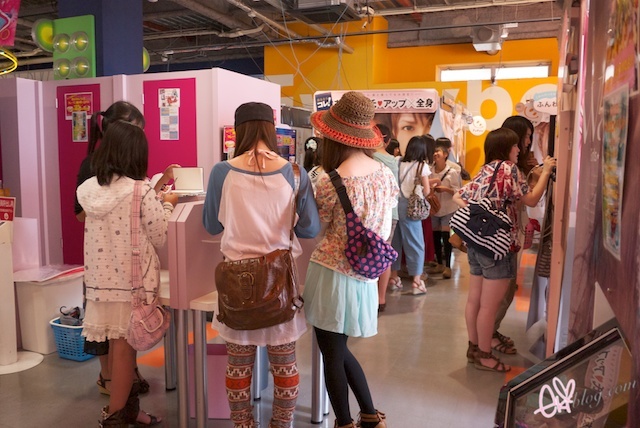 It would be cool to see the fashion of regular girls in Japan! I have an aunt who lives in Japan but I'm havin' difficulty communicating with her because of the language but I'm trying my best to learn the language now. I'm loving your updates. Glad you are enjoying your trip so far! I dont have any suggestions of what more pics for you to take, because honestly, i'm really enjoying ALL the pics you take, eki! The pics of yourself, food, stuff you see are really fun to look at! I feel i am there experiencing a dream travel to Japan. =) Hope you and your family are faring well there! stay safe. thank you for the giveaway as always! I would like to see more stuff related to fast cooking (just use boiling water and is ready to drink/eat). Recently I just found instant miso soup. All I have to do is using boiling water + instant soup. As simple as ABC. Another stuff I would like to see is some weird equipment like bento, kitchen and home ware that we can only find in Japan. I'd like to see more food! *v* Maybe something like the small noodle stalls outside? <3 's all! it was 900yen I think it was high cause we choose to print 2 copies of the sticker sheet. I would love to see more Japanese food posts :D I just LOVE Japanese food! like women/girls in teens to 20s? Your cousin looks really cute! I'm really enjoying all of your japan posts. Fashion, food, and maybe some tips or practical knowledge about Japan that would be useful to someone who plans on visiting the country for the first time. twitter: @milkypearls I want to see street fashion and landmarks! I visited Japan a few years ago and I want to go back so bad! I love seeing new pictures of landmarks I visited. Very nostalgic. 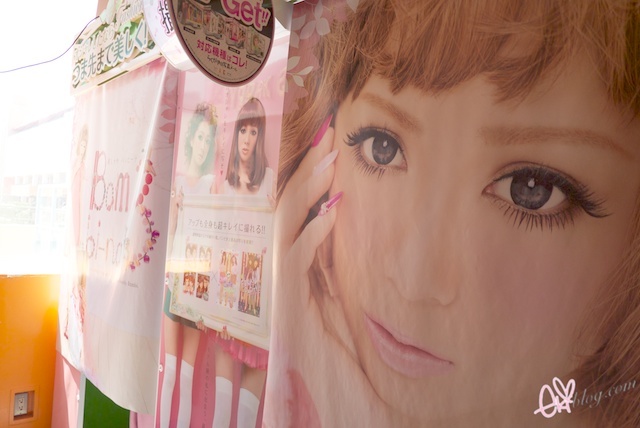 I'd like to see more photos of Japan and more shopping places, but not only of gyaru style! Have always wanted to go to Japan, even entered different competitions to win a ticket to Japan but to no avail. I hope one day I will be able to visit. Would love to see more about Asakusa, if it is possible. Have a great vacation :). thanks!! i would like to see more anime/manga or gyaru style stuff! I would love to see more cultural sites or anime stuff! I'd love to see more boutiques and stores with cute/kawaii products! Clothing, make-up, stuffed toys etc! But also some of the beautiful scenery in Japan, the nature and the architecture. I went there last summer, and I miss it so much! 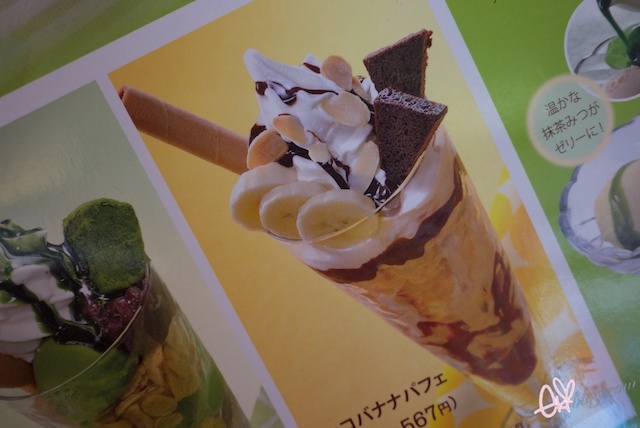 more food posts...i noticed that japanese take great pride in the presentation of their foods. 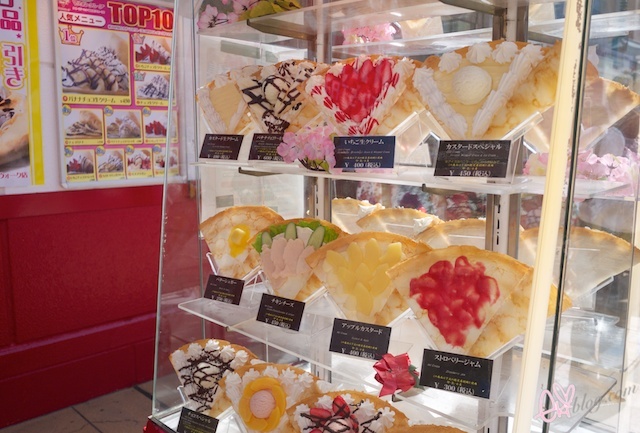 even the fake displays are yummy looking! I'd love to see more boutiques and stores with cute/kawaii products! Clothing, make-up, stuffed toys, phone decorating accessories etc! But also some of the beautiful scenery in Japan, the nature and the architecture. I went there last summer, and I miss it so much! And I really admire your style and looks, you're always so cute and beautiful, so lots of pictures of yourself too, please~! haha eki-nee~ I always look forward to seeing your posts on Japan <3 you make me miss it so much! Looking forward to more posts ^^ take care!! I would love to see more yummy foods from Japan! And of course more makeup!!! Email is jenilene.panganiban@gmail.com and Twitter is @jenjenjen11. I want to see more food! 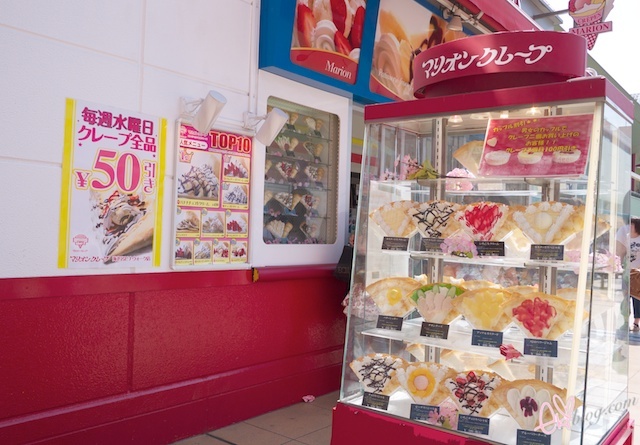 > < I loved going to cafes and crepe stalls when I went to Japan last year. I would love to see more of anything, Love pretty much everything about Japan! OMG, please come to the place wheres fashionable girls and boys are gathering. I want to see their fashion!! 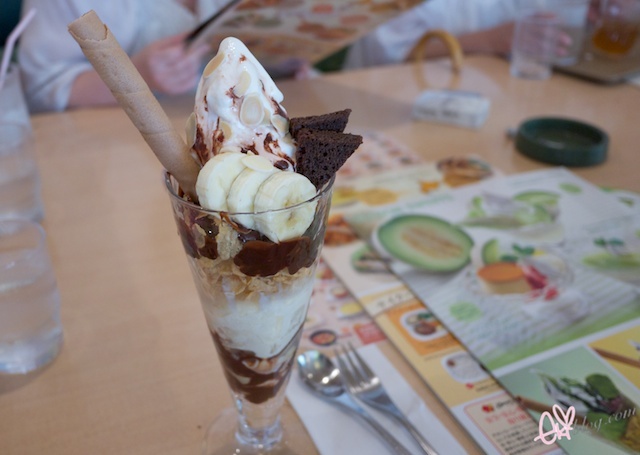 haaa~seeing and reading your blog posts on Japan makes me want to return so much more >w< ♥ !!! I really can't wait to return next summer ^^ ! 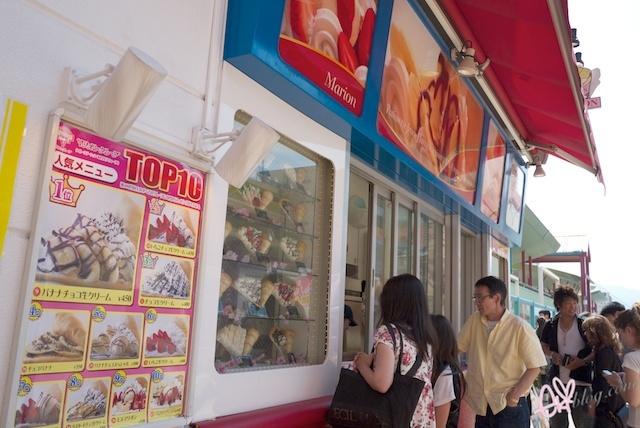 twitter: @ asiancookieayuI would love to see some more pictures of the shops and thing you buy and some more pictures of the street fashion and some pictures of the streets and cities as I am curious of how things might have changed since 2010 :D ! 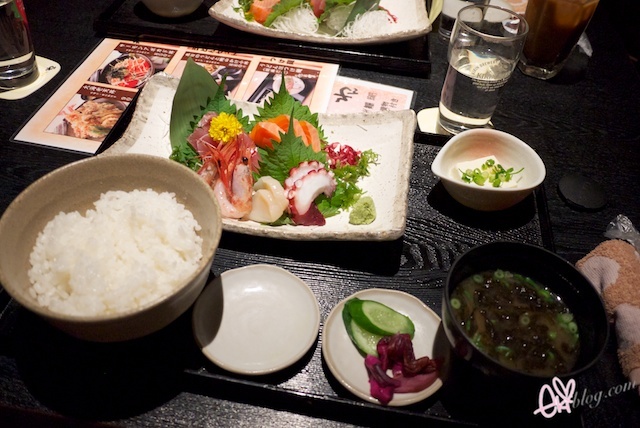 Definitely show more food pics (if you can, haha) and sightseeing in Japan, i.e. landmarks. I've always wanted to go! 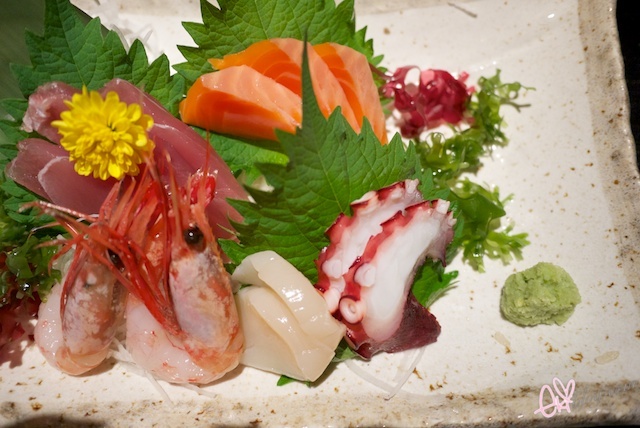 That sashimi looks absolutely mouth-watering! I loved all the Daiso photos, thank you so much for sharing. I'd love to see more food photos as well as just random things that catch your interest, there must be so much to see! I would love to enter the giveaway - thank you for holding such a lovely one! Love to enter the giveaway ! That's the reason I'd like to go to Japan one day. Thanks for sharing all these beautiful pictures! Would love to see more of your travel pics and your pics without make up or lenses! And nail art tutorials please,! I miss Japan so much! I recently went to Saizen (also from Daiso) recently this afternoon. Planning to host a giveaway so i went there to buy some stuff! Hello Eki, i can't believe the Daiso in Japan are selling so much goodies that is so worthy to grab! 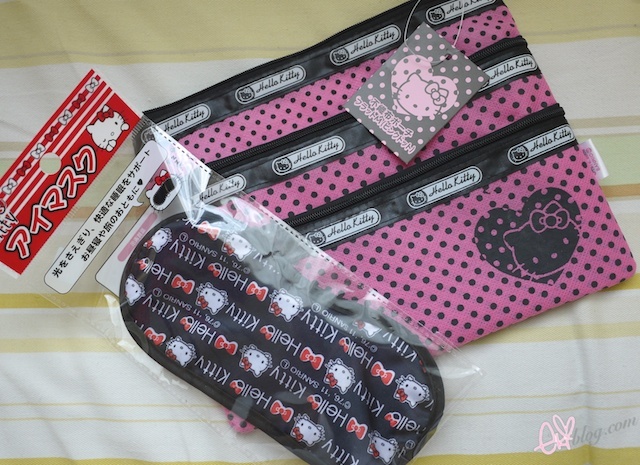 It's so different from Singapore's Daiso, hardly have much stuff that i would buy honestly! Taiwan's Daiso actually has most of the DIY/decoration stuff only! Hope i win the giveaway hehe! The food pictures were a bit hard to look at before breakfast, but I always love food pictures haha. 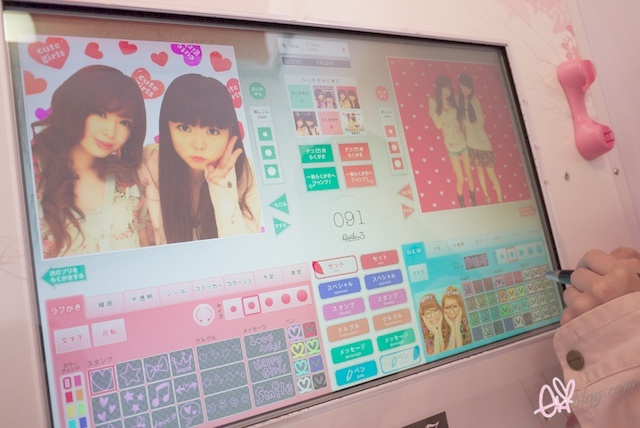 Wow they are already have a Bambina 3 machine, they make new versions so quickly DX Your purikura is really cute, its a fun memory of the day. Really cool and nice stuffs sweetie! I'd love to see more food and sights in Japan! I've always wanted to travel there because so many people (and tv shows) seem to make Japan the best Asian country to visit ^^ and i always love how up to date the technology, fashion and everything is!! Love the photobooth pictures. You girls look so great. I would love to see where you eat! Awww I miss Daiso a lot! 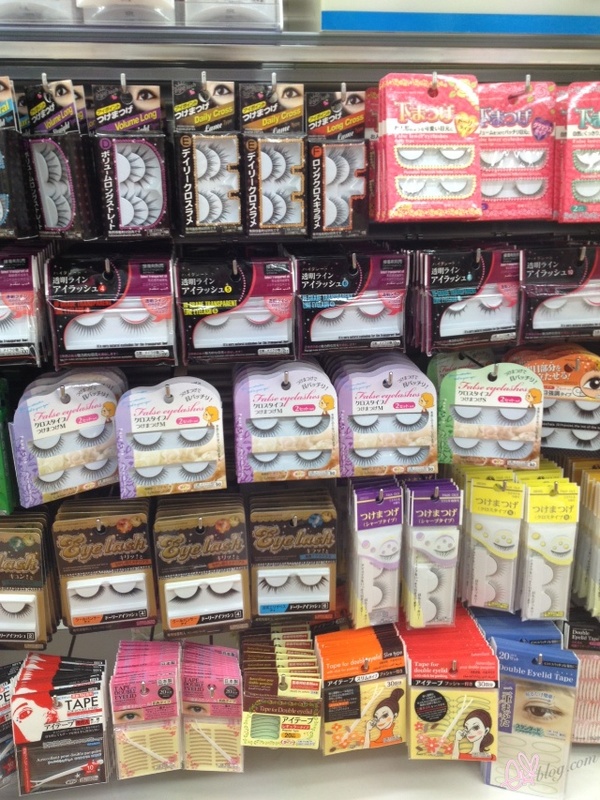 Your Daiso has a lot of awesome stuff though! Mine was so small >< oh fun giveaway! I would like to see your recommendation to places to visit and eat. I always wanted to take a purikura photo, but we don't have cool machines like that = 3 = Oooh~ I would love to see more skin products and makeup, also trends like Gyaru, food or gadgets! Wow such a cute giveaway!!! I wish there would be cute products like this in France!! Cute giveaway <3 There needs to be more stuff in Cali! I would like to see more fashion (what is the current fashion in Japan) and cosmetic stuff from Japan. But actually I would be interested in reading any post regarding Japan. I wanna see pictures of you shopping around :D I'd love to see all the unique food from different restaurants. Wow so pretty, Im going Kyoto in July can't wait! Japan look so pretty and exicting! I would like to see more some shots from fashion shops and from the street, but i love Japan so much i'd be happy to read and see everything You have to say and show =^__^= Hugs~! I would want to see what is inside maid and/or cat cafes :)! 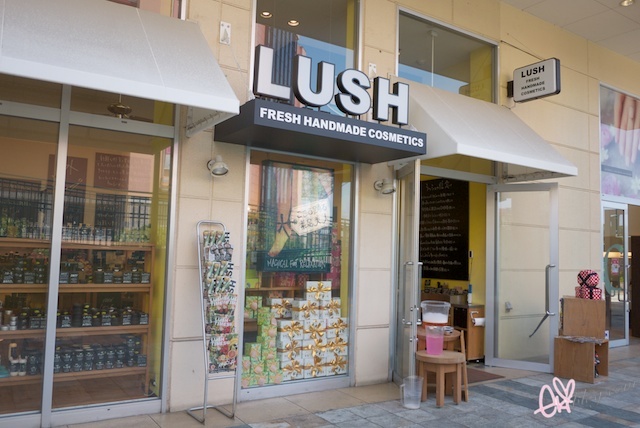 I'd love to see more japanese beauty stores and cuddily toys! o0o0o the food looks so yummy!! I'd like to see more make up stuff and fashion trends. 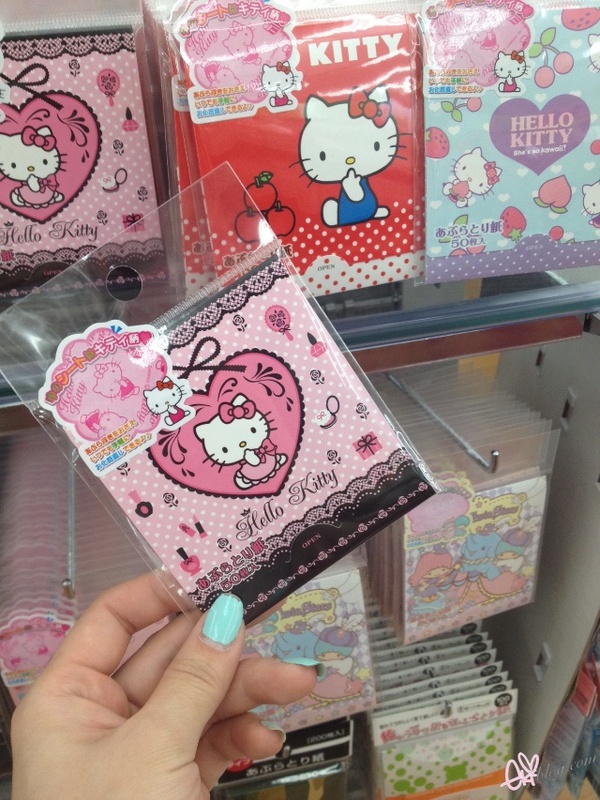 I like Hello Kitty stuff! 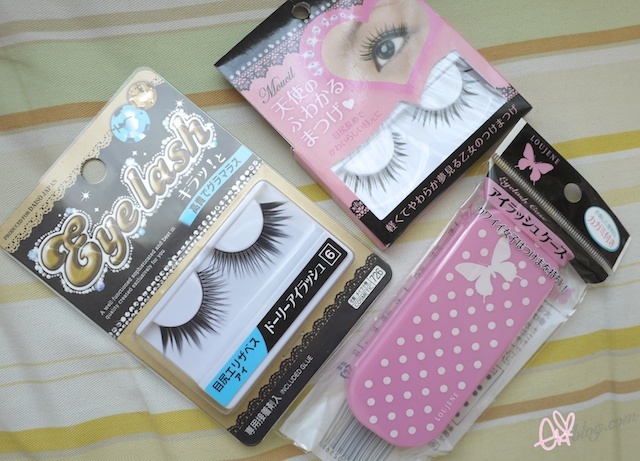 I would love to see more beauty products from Japan, especially lashes! 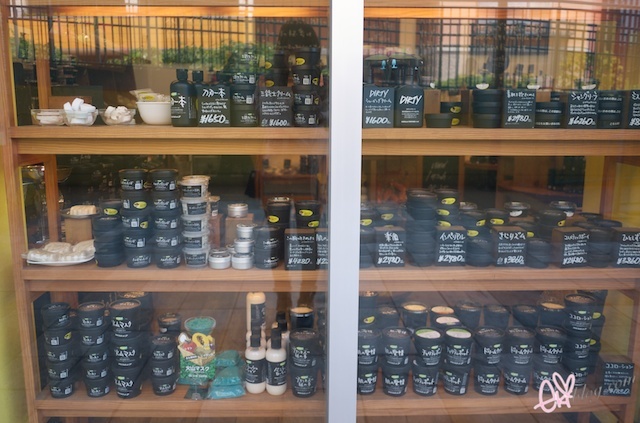 I love when you go shopping and talk about the different items, food, and culture notes! 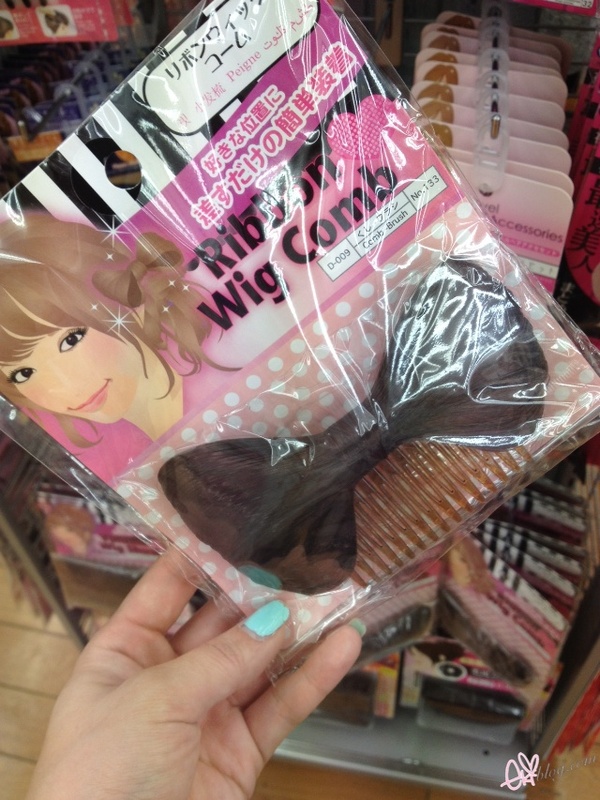 I love to see more Gyaru makeup tutorials and JP fashion trends also. Thanks for a great post Eki, this is one of my favorites! 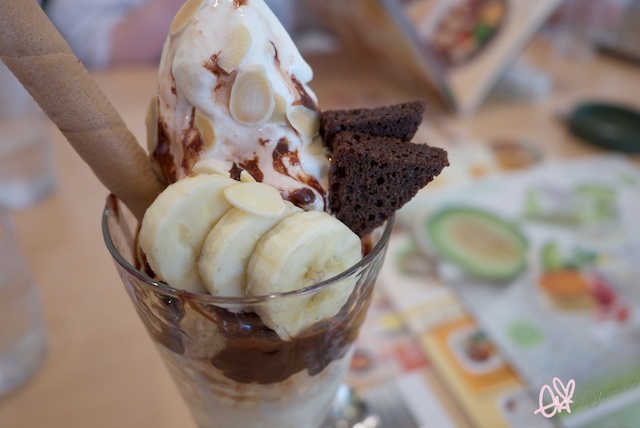 would love to see more food photos from japan! I lived in Japan for a year and I miss it so much! 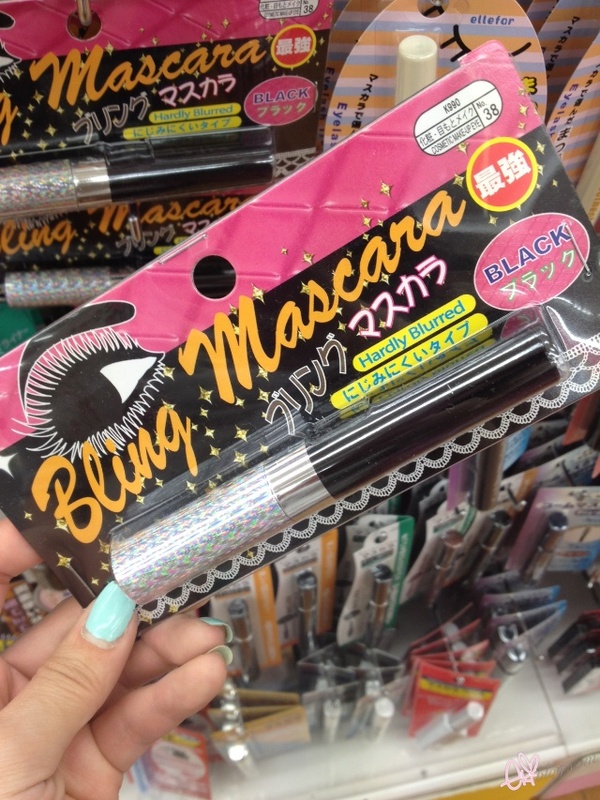 This post reminded me how much fun it was going to Daiso! Your trip to Japan looks amazing, definitely somewhere I want to visit! must save up my pennies! Would love to see more desserts and street fashion! ♥TWITTER♥ @Mo0neramo0zI want to see more makeup, magazines, food & especially its culture and way of dressing! I would love to see more posts on food! They look so good!! i would like to see more food as i love to visit japan one day and eat. lol. i would like to see photos of japanese everyday life. I would love to read more about japanese fashion and modern vs traditional japanese culture! I would like to read basically anything that you see in Japan. But if I have to be specific more Daiso because seriously all that cute stuff for the price is like a OMG for real!! Yummy food and cheap shopping opportunities = *_* ! I would like to see more cute household items like cute stationary, cooking items, etc..
More food and fashion blogs please! Hm..I think I'd also love to see more of the food and shopping areas if that's possible! I really enjoy reading your blog and I like your pictures. 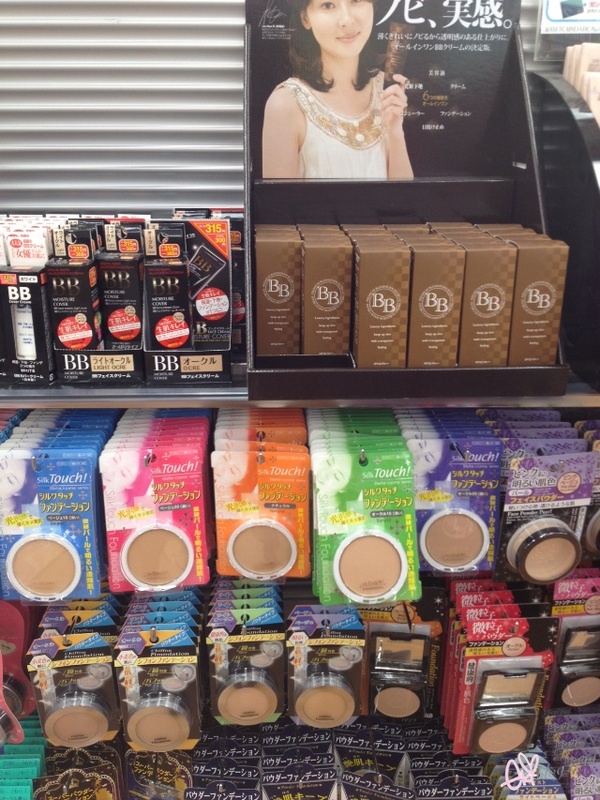 I'd like to see more japanese makeup and hair products from cheap stores like daiso. I would love to see some snapshots of coords and outfits! Your cousin looks so cute! I'd love to see more posts of the street wear fashion in Japan and popular tourist attraction places! I've been enjoying your photos thus far both here and on Twitter! I'd love to see photos of clothing stores and just cute things from Japan as you enjoy your time there~Thank you so much for sharing! Also, I would really love to see something from the Japanese prospective. Hm, like maybe a tutorial or something done by a gal, or.. just their prospective on makeup and makeup tips? ..Does that make much sense? Would love to see the little places in Japan that aren't see on a tourist map :D More restaurants! Har Har! I would like to see more of Japan's scenery, fashion and food! ^_^ Thanks for this giveaway! I'd love to see more food!! hehehe and scenery too :D Japan is so pretty, I'm glad you are having fun!! I would love to see more fashion and food! I love the unique food as well as the fashion there! You are so lucky to go! I would love to see some more food or fashion! Love your giveaway Eki. You are beautiful too. thanks for your generosity, Eki! it's fun reading about your adventures in Japan. i'd like to see posts about japan sights / short day trips. Hi eki. . .well I don't have a twitter, I'm just not into the whole twitter thing yet but I do love reading blogs especially yours. You help me a lot to learn about Japanese culture and things not to do when and if I do someday. I would like to see more things that aren't in American. O1. I'm definitely a follower/reader of your blog! I would love to see the updated trendy local clothing store in Japan. Hi Eki! I love reading your blog, especially your photo diaries. I enjoy getting to know you better through photos from your everyday life. I would love to see more photos of food and beauty/fashion trends. Also, please keep the photo diaries of your trip coming. I especially loved the photos of you with your cousin because it's nice to catch a glimpse of your personal life (hope that doesn't sound too stalkerish!) and would love to see more photos of you hanging out with your family. @helloreiko Hi Eki! Japan is so beautiful and I miss it. I would love to see more posts of the scenery outdoors. (:Thank you for doing this giveaway. Have fun in Japan! I'd really love to see more Japanese Make up as well as fashion it's just such eye-candy and I never tire of looking at it! What I like to see even more is cheap amazing stuff like in this post! 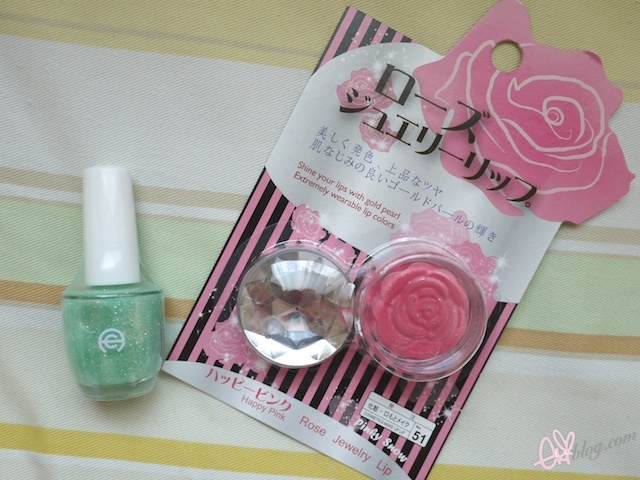 Hi Eki^^ If it's not a bother, I wanted to know how much it is to get the nail designs done in Japan? Thank you! My email is meer1130@gmail.com and my twitter account is @@akuma1393 but my twitter is set on private but I do follow you on twitter! Hi Eki, I love all these Japan related posts... It really gives me an insight on what Japan is really like and how much I would want to visit one day!! Following on from this point I would like to see more of Japanese make-up and beauty related things as I'm always interested in Japanese make up! I also love Daiso, I've been to the store in Canada and LOVE it there! 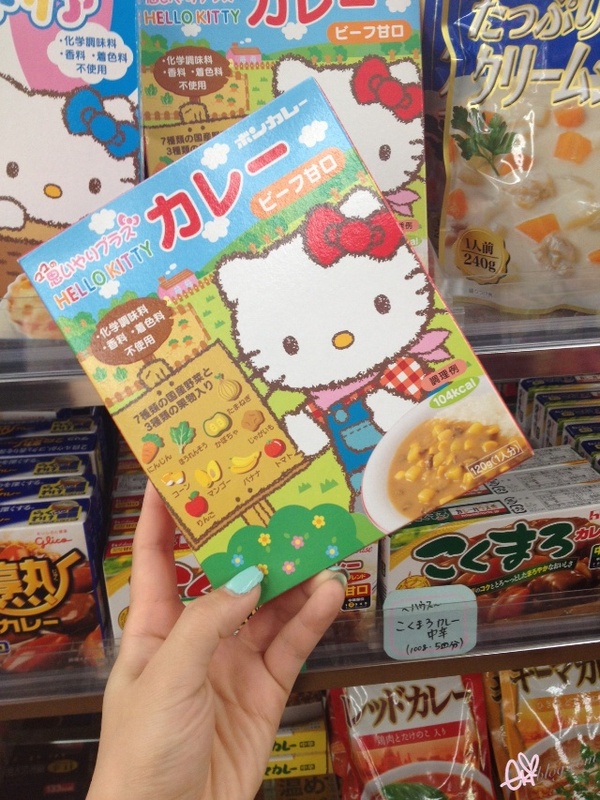 I like seeing photos of food from Japan! Especially the desserts hehe! 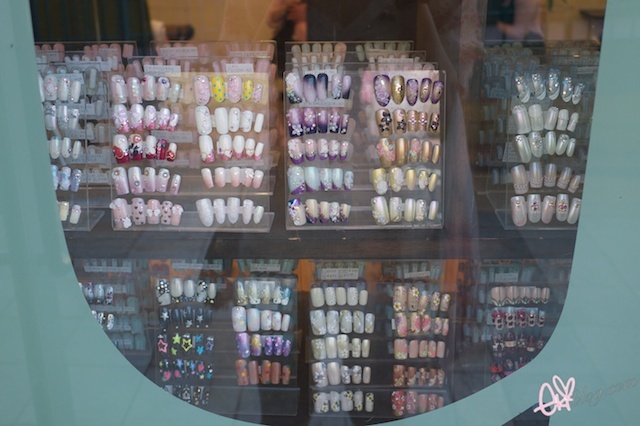 LOVE the hair ribbon wig comb- very cute:) And your pastel nails are so springy!! I really, really would love to see photos of regular(?) places in Japan, as in not just tourist type places but more over everyday type of places! I feel like no one really blogs about those kind of things. Also, thank you for hosting a giveaway! I hope my japanese made sense.. ^^"
Hello~ I would like to see more of the stores maybe(?) and of the cities of Japan~! I want to see more cool things unique to Japan like Gaming arcades, onsen, yakiniku, places where Gyaru girls hang out or something?